Lipovica is a cute, pebbly beach near Volosko. At the beach you can rent any chairs or umbrellas, and there is a small children's playground right behind it, together with a summer bar. 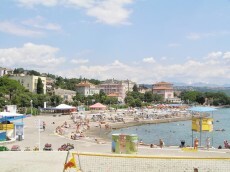 The Lido beach is situated in the center of Opatija. This is an untipical sandy beach near the botanic park, where thr visitors, in the peak summer times, can relax in the shades of ancients pine and oak trees. The beach has a large playground for volleyball and a springboard for attractive jumps to the sea. Behind the beach there is an open air theatre. There is also a shallow part of the beach, suitable for children. A beautiful pebble beach in Medveja, according to legend, was named after the Greek sorceress Medea and is characterized by the exceptional purity and beauty of the sea. 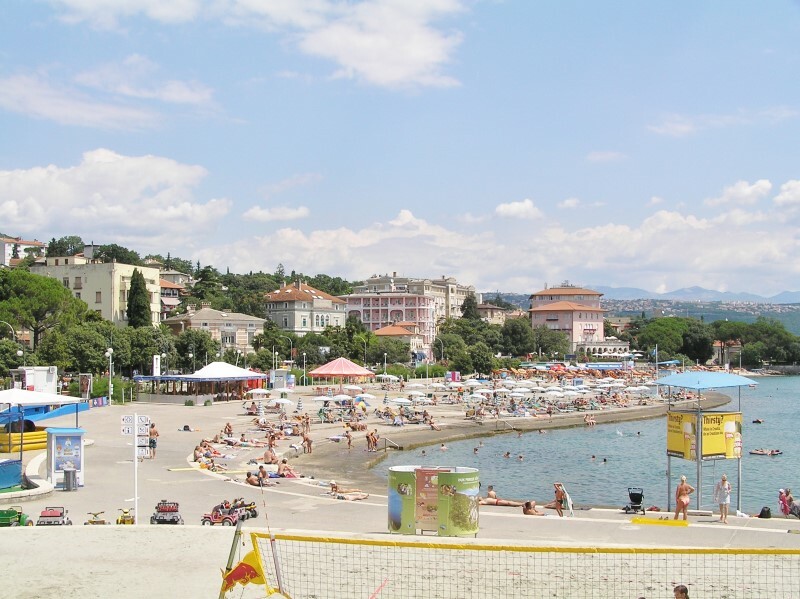 The beach in Medveja is the center of a small, typical fishing village that offers many services for a quiet but active vacation. Opposite the beach there is one of the largest auto camps of the area and the starting point of a hiking trail that leads to Učka nature park. Sipar, the beach in Mošćenička Draga, is maybe one of the most beautiful beaches of the entire Adriatic. It is a few hundred meters long and offers all the necessary facilities like restaurants, shops, summer bars and more to enjoy in a particularly clear sea and sun all day long. 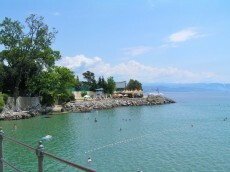 This is the second beach in Mošćenička Draga.